We know decorating can be overwhelming & a bit challenging! Our Interior Designers at Studio Piper will help with all of your design needs from paint color selection, spacial planning, choosing the perfect light fixture, accessorizing, & more. We offer interior design consultation services in the greater Cincinnati area to help you create the home you're dreaming of. Do you need help designing your home but don't have the designer budget? With our in-home consultation services you gain access to our experience, knowledge, and resources without the high costs associated with traditional Interior Design. A fresh coat of paint changes everything! 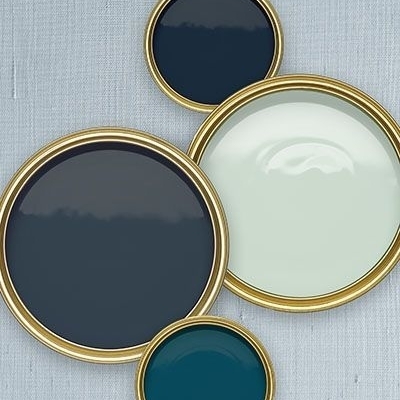 At Studio Piper, we know that selecting the perfect paint color for your home can be a bit overwhelming with the limitless color options available! Let us take the frustration out of choosing the perfect color. Our most sought after service! Whether you need help designing your living room or simply don't know which type of tile to choose for your bathroom, our designers at Studio Piper can help guide your decision making process, saving you time & money. Are your empty bookshelves or tired throw pillows causing you anxiety? Let us do the shopping for you! We'll meet in your space, then shop for perfectly curated accessories and end with an in-home styling session!